Nearly everything in the article is supported by a recent peer-reviewed journal article. Furthermore, the article does its best to avoid primary sources (ones in which the authors directly participated in the research or documented their personal experiences) while utilizing secondary sources (which summarizes one or more primary or secondary sources, usually to provide an overview of the current understanding of a medical topic, to make recommendations, or to combine the results of several studies). The reason secondary sources are so valuable is that they combine the works of several authors (and presumably locations), eliminating biases of one laboratory or one study. Secondary sources also include repetition of experiments that support or refute a hypothesis. As I’ve said many times, trust your secondary sources over just about anything, and, of course, Cochrane Reviews are nearly the best of the secondary sources (but once in a while, they get it all wrong). A lot of people will immediately dismiss someone using Wikipedia as a source. On the other hand, some people think Wikipedia speaks with authority. As a former passionate Wikipedia editor, the quality is so uneven that I do spend more time looking at the sources of each article than I do actually reading them. I do use Wikipedia to find original sources that I need, when other types of searches fail me. I do use Wikipedia as a “dictionary” of sorts to explain certain medical conditions, but I’ve been moving away from that to other sources. So when you’re reading a Wikipedia or news article, and it makes a medical claim, and it bases it on some primary research (or worse yet, primary research on animals or cell culture), then it’s a long way to making a conclusion about humans. A very long way. Too often, Wikipedia, news articles, or your Twitter feed provide conclusions about medical or scientific findings that aren’t supported by the original source. And sometimes the original source may actually provide a “conclusion” that’s either unsupported by its own data. Or worse yet, individuals who are using the source are intentionally misinterpreting the primary article to meet their own Confirmation Bias. One of the better ways to ascertain the quality of research is to look at the quality of the journal. Articles in high quality journals are cited more often, because these journals attract the best scientific articles (which are cited more). The best articles are sent to these journals partially because of the prestige of the journal, but also because the peer review is so thorough. Journals use a metric called “impact factor” that essentially states how many times an average article is cited by other articles in an index (in this case for all medical journals). The impact factor could range from 0 (no one ever cites it) to some huge number, but the largest is in the 50-70 range. One of the highest impact factor journals is the Annual Review of Immunology, which is traditionally in the 50’s. Impact has its weaknesses. For example, a highly esoteric, but high quality journal, may have a moderate Impact Factor, but it still might still be a prestigious and extraordinary journal. Also a new journal might have an artificially low impact factor, but still be high quality. In this case, watching steady growth in the Impact Factor might be a good indication of it’s quality. Some journals also have a relatively low Impact Factor, but still are cited 10’s of thousands of times every year. This might be an indication of its quality. A good search engine for finding the Impact Factor of nearly any indexed medical/science journal can be found here. Just type in the name of the journal (even the abbreviated name), and it will give the Impact Factor of a journal for the past five years. As an independent, objective method to judge the quality of published research, Impact Factor is one of the best available. Frankly, I consider anything over 10 to be high quality, especially in very specialized fields of research in the biomedical sciences. Anything between 5-10 is still high quality, especially if the journal publishes a lot of articles that are widely cited. One of the problems with Impact Factor is that it is an average, so many journals publish popular articles that get hundreds of cites, while also publishing very esoteric and focused articles that don’t get cited often. Journals with impact factors of 2-5 can be high quality, especially if its new, focuses in a very specialized field of science. Anything less than 2 probably requires that your review of particular question in science needs to be more broadly based. As science comes to a consensus on an idea, hypothesis or theory, it gets published more and more often in higher and higher Impact Factor journals. If everything you claim are based on articles from non-peer reviewed, pay-to-publish journals, then your case is weak, bordering on nonsense. If you’re Cherry Picking research only from journals with impact factors less than 1-2, then there might be a problem with the evidence you’re using to establish a scientific belief. Secondary reviews published in peer-reviewed, high-impact journals. These secondary research articles include meta-reviews, review articles, and Cochrane Collaboration reviews. These studies essentially roll up the data from possibly dozens of other research articles, while attempting to remove obviously poor quality research or biased data. They are mostly useful for examining numerous randomized clinical trials, providing the reader with a higher number of data points, usually with better statistical analysis. These are almost always published in high impact factor peer-reviewed journals. Occasionally, low quality meta-reviews, especially those that cherry pick only primary research that supports the hypothesis of the author, are published in low quality journals (and infrequently, in major journals), but are of little use. Remember, even high impact journal studies get it wrong–Mr. Andy Wakefield, whose fraudulent paper, alleging a connection between MMR and autism, was published and subsequently retracted by the Lancet, a very high impact factor journal, and one of the top medical journals in the world. High quality clinical trial reports. Again, if they’re published in high impact journals, and include fairly large numbers (in general, I like to see >1,000 subjects in each arm, but even those in the hundreds can be useful), they can provide evidence to support a hypothesis. However, and this is important, bad study design is bad study design. That’s why the peer-review process is so important, and that’s why we add weight to it. The expectation is that other experts can sort out statistical and design problems before the paper is published. Small clinical trials. At this point, they border on observational studies that need to be confirmed (or refuted) by larger studies. In the world of clinical trials for pharmaceuticals, research starts at the small size (less than a 100 patients) at Phase I, progresses through several hundred patients for Phase II, and finally ending with several thousand in Phase III. At each phase more and more data is accumulated, but at Phase I, little can be concluded from the data except for basic safety. Studies published in low impact factor journals (those with ratings less than 5). I am openminded that some article published in a bad journal with low quality peer review might actually be good research, so the line I draw at an impact factor of 5 is purely arbitrary. In the world of academic research, job promotions and tenure depend on publishing in high impact factor journals (almost always greater than 10), so impact factor has been correlated to quality of the research. In general, the scientific consensus is supported by lots of publications in high impact (and many times, low impact) factor journals. Good research, that goes against the scientific consensus, can make it into high impact factor journals. 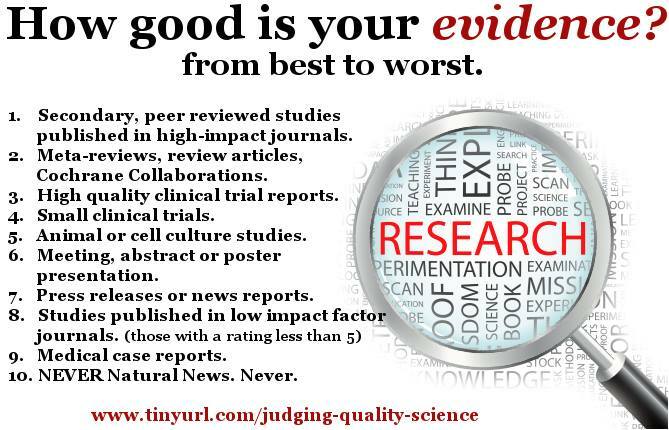 But only high quality research, with strong supporting evidence, methods, and analysis. If you’re going to say that all immunology is wrong, and vaccines don’t work, a point of view that is definitely against the scientific consensus, then publishing in insignificant, non-peer-reviewed journals will have little meaning to anyone. Well, as far as I can tell, pseudoscience pushing individuals love these articles published in insignificant journals..
Natural News from Mike Adams, the Health Ranger. Whale.to. . Let me make this clear, Natural News is a foul, fetid, putrid sewer of information, which befouls any real science with lies. The antisemitic, anti-science, anti-knowledge website, Whale.to, similarly reeks of malodorous smells of pure garbage. Anyone who uses either site as a source for anything in medicine loses the discussion without any further debate. The pseudoscience pushers who claim that they’ve done extensive “research” into a subject, and quote either of these websites are beneath contempt, and supports the hypothesis that those who support anti-science are intellectually lazy charlatans. It’s really not that hard to determine what’s good science and what is bad. Not all science is equal. If you want to peer into the future, a meeting abstract or primary animal (or cell culture study) may give a hint as to where clinical research is heading 10-20 years into the future. And it’s impossible to predict which of those studies will just end up hitting a dead-end. 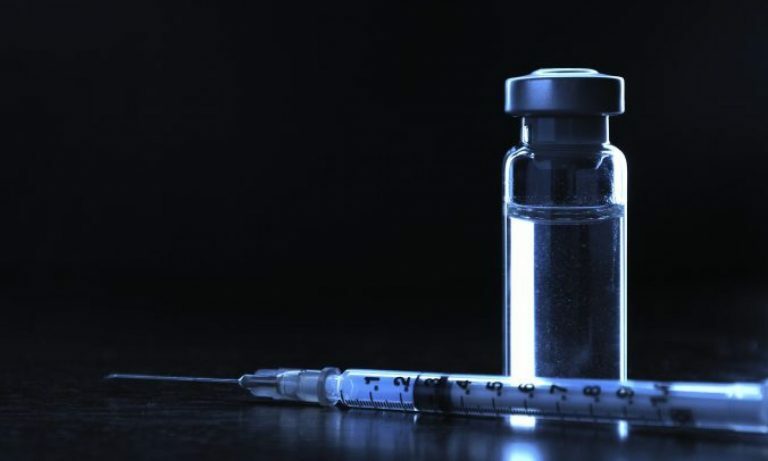 If you want to confirm that vaccines do not cause autism, it’s easy. There are secondary, peer-reviewed, high-impact journal published studies for your review.